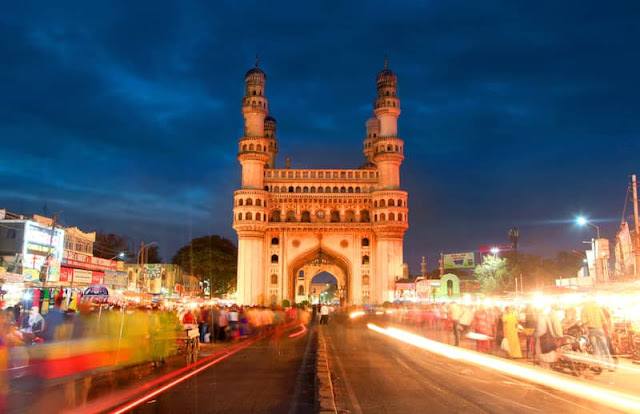 Buzzing with life, and steeped in history, Hyderabad is the capital city of both Telangana and Andhra Pradesh. The city is a beautiful blend of the old and the new and is famous for its vibrant culture, gorgeous architecture, and delicious food. In addition to all this, it’s also quickly becoming a centre for the technology industry. So it is no wonder that the city welcomes thousands of visitors here every year. Most visitors to the city are business persons and the other percentages are history buffs and families. Hyderabad’s younger, more technologically advanced side, ‘Cyderabad’ tends to be more grand and a little on the expensive side. 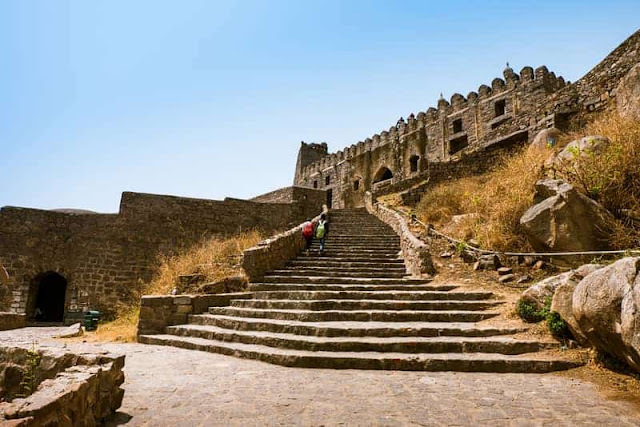 But don’t fret, if you’re looking to travel to Hyderabad on a budget, there are a number of things you can do to lighten the load and have a great time. Here are few little hacks to keep in mind when you travel to the City of Nizams. Before you can think of booking your hotel or flight tickets, it makes sense to set your budget in advance. Do a little bit of research about Hyderabad and look for most pocket-friendly hotels, restaurants, and modes of transport within the city. This will you give you a fair idea of what your trip will be like. List down the expenses you are most likely to incur from everything from snacks on your journey to extra emergency money. Have the list set, so you know exactly what you need. The largest chunk of cash you spend on your vacation would likely go to your hotel accommodation in Hyderabad. This is why it makes sense to find budget hotels that provide a good mix of comfort and great service. In this case, it’s always a good option to settle for well-known budget hotel chains, such as Treebo Hotels. Another important thing to consider is the time you will be travelling in. If you’re travelling during peak season, odds are you’ll have to spend a little more for a room. You will also have to pre book to avoid any fiascos. If you’re travelling during the off season, you’re more likely to get some incredible offers on rooms. If you’re travelling to Hyderabad for a couple of days and want to get the most of the city in the short time you have, it helps to pre-plan everything to the tee. Prioritize the sites you want to visit. You could start with the city’s most iconic monuments like the Charminar, Golconda Fort, Falaknuma Palace, and the Qutb Shahi Tombs. Then you could add in which other places you would like to visit, dine at and more. One could travel by public transport such as buses in the city to save up more money. If you’re in a bit of a hurry, opt to book a cab online. Considering that the Nizams ruled over the city of Hyderabad for so long, it’s no wonder that the food here is very close to royal. The best part about visiting Hyderabad is you can eat like royals while spending like a poor man. 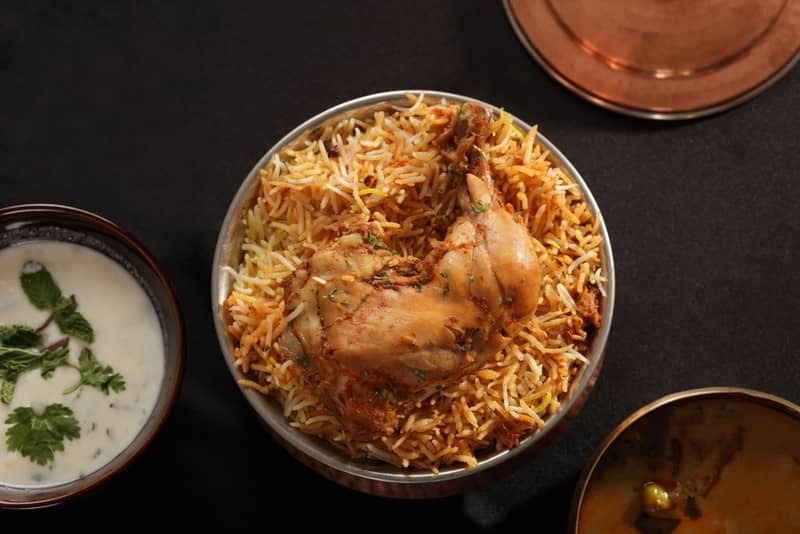 Hyderabadi biryani, kebabs, and haleem for example can be found all around the city at surprisingly low prices. Restaurants like Alpha Hotel, Tibb’s Frankie, Lamakaan, Rice Bowl, NorFest, King and Cardinal Bakery, Gokul Chaat and Cafe 555 serve delicious food at pocket-friendly prices. You can be sure you’ll never miss a meal in this lively city. Hyderabad has a good mix of glitzy malls and traditional markets, and if you love shopping you can have your pick of the best. You can head to GVK One Mall, Forum Sujana Mall, Hyderabad Central, InOrbit Mall, the Forum Sujana Mall, Manjeera Mall, and more if you’re looking to buy from some reputed brands, catch a movie or play a few arcade games. If you’re on a budget though, you can always opt for more traditional markets that sell clothing, handicrafts, jewellery, footwear, and more at affordable prices. A few excellent markets to visit are Koti, Begum Bazaar, Tobacco Bazaar, Nampally, Shilparamam, Laad Bazaar, Hyderabad Perfumers, and Moazzam Jahi Market. Make sure you carry enough money on your trip, in fact take it one step forward and carry emergency cash with you. You never know if the neighbourhood you choose will have an ATM, so keep money on hand. It’s also important to keep your cash safe. You could stash your money away in a secret pocket, or stuff in your shoes for safe keeping. You can also keep alternative methods of payment on hand. Debit cards, credit cards, or online wallets will do the trick. While on a vacation, it can be tempting to spend a lot of money on things you don’t really need. It may be too much food that you spend on or an expensive souvenir, whatever it is think of the price attached to it. You can always set aside money to shop but make sure you stick to that. Travelling on a budget may seem like a gloomy business, but if planned right it can be loads of fun, while making you more responsible and happy. So take your time, the adventure of lifetime is around the next corner. Great bit of advice - not only for Hyderabad for for any tourist location ! These are great tips. I have to explore the shopping part more.